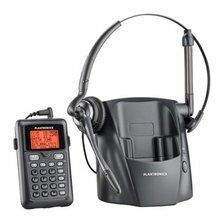 Pros Built to last, great call quality, easy to use, high capacity battery, connect 2 cell phones with Bluetooth, great answering system. Cons Expensive, but not too much to pay for a unit that is hardy enough for continuous office use. 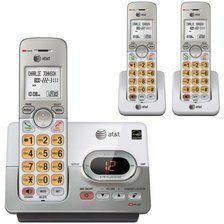 Summary The best on the market: every feature you'd want in a cordless phone system and even coordinates with your cell phone for contacts, messages, etc. Pros Good range, great price, voicemail and can add more handsets if necessary. Cons Menu functions are not intuitive at times. Summary If you just need a good, inexpensive cordless phone with a few essential features, this is one to seriously consider. Pros Designed to be comfortable for long periods; perfect for those who want to use a headset only. Cons Expensive and absolutely no option to add a handset. Summary If you want a cordless phone but don't want a handset, this is the one to get. Period. Pros Durable, great sound, easy to read display, shields out interference from wireless networks, hearing aid compatible. Cons Customer service leaves a lot to be desired. Summary It may lack some of the features of more expensive units, but this is a well built and durable system that will last for years. 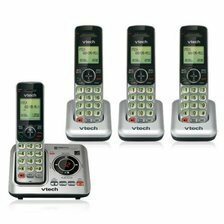 Pros Good call clarity, great price, easy to use, intercom function between handsets great for home or office. Cons Must clear new voicemail and missed call messages from each individual handset. Summary Our recommendation for a budget choice. 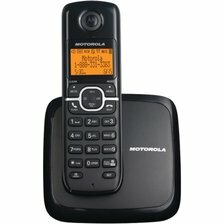 Solid, easy-to-use phone for homes and small offices. Made in the United States, too.